We are pursuing the right accreditations and certifications to ensure that we deliver nothing but excellence to every project we win. CE, the mark of a true quality service provider. 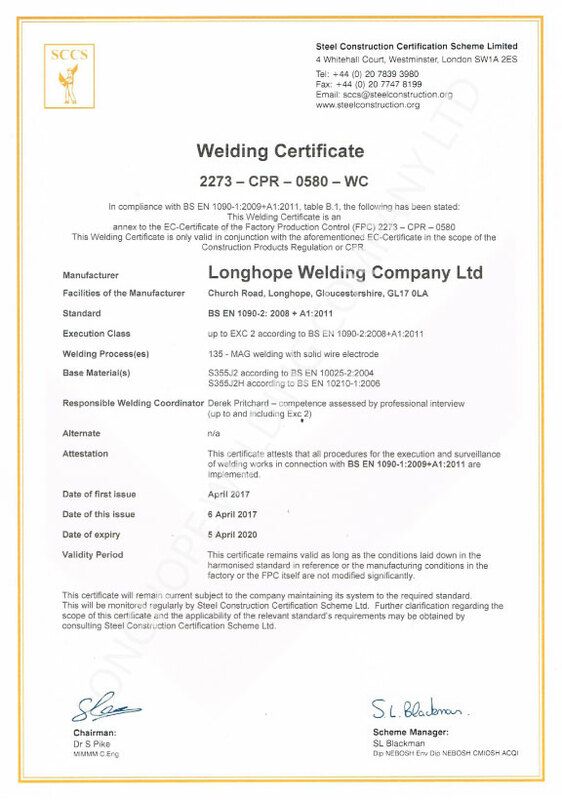 Longhope Welding Company Ltd strive to remain a true quality service provider, we are fully CE accredited and our certificate can be viewed by clicking on the images below. BS EN 1090-1 is mandatory for all manufacturers involved in structural steelwork. This includes products such as steel sections, bolts, welding consumables and fabricated steel components that are used in building, bridges, highways or other civil engineering projects. CE Marking of structural steelwork is a declaration by us, the manufacturer, that our product meets certain public safety requirements. The public safety requirements are a set of essential characteristics that each product must satisfy and these characteristics are given in the product’s harmonised standard. 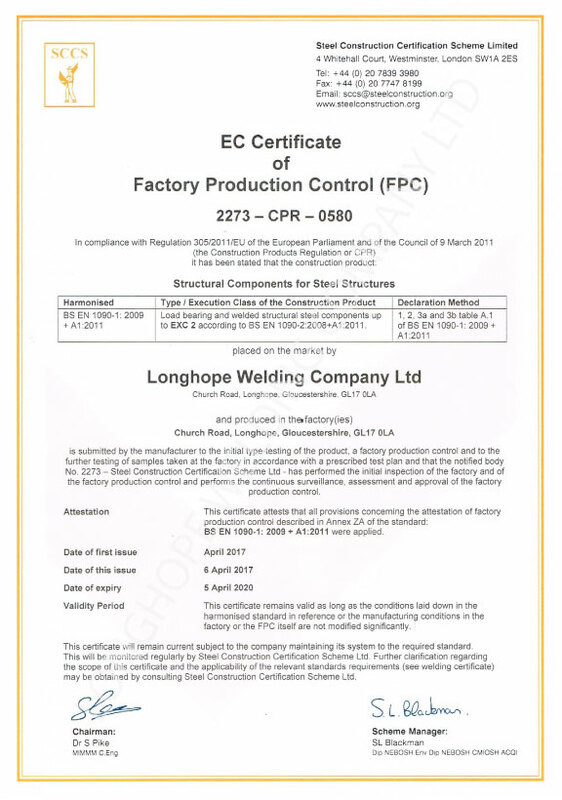 All of our products and solutions are CE Marked!